We’ve covered the ongoing Volkswagen diesel emissions scandal but now it’s finally over. After months of legal deliberations, Volkswagen and the U.S. government have finally come to a proper agreement concerning how VW will compensate the American customer base affected by the diesel emissions scandal. German newspaper Die Welt reported in April that VW is set to pay affected U.S. customers $5000 each, corroborated by a Reuters report. The initial scandal started when it was discovered that more than 600,000 Volkswagen that were sold in the U.S. had a so-called “defeat device,” which allowed the cars to emit up to 40 times the legal limit of nitrogen oxide in real-world driving, but still pass the mandated government (from the EPA) emissions tests. Later it was found that 11 million cars worldwide were equipped with this software. So now, the payout of $5000 per affected car in the U.S. means that that VW would end up paying a total of about $3 billion in the US. As of this month, it is unclear whether or not VW will actually carry out a recall to repair the affected cars after it financially compensates current owners. The German publication, Die Welt cited an anonymous sources within the industry and reported that VW is now set to present a plan to Federal Judge Charles Breyer in San Francisco. Volkswagen would have had to undergo a full trial this summer if they didn’t present a solution to Judge Breyer by the end of April. With this payoff, one could make the argument that this is first piece of good news for affected VW TDI customers in the U.S. and even VW themselves in a way. This scandal came to light in September 2015. Typically, progress on an agreement between automakers and U.S. regulators is slow, as was this case with the investigation into the cheating happening over many months. Officially, Volkswagen is no longer publicly releasing interim reports about the diesel investigation from law firm Jones Day. In their most recent statement, the German automaker spoke about “unacceptable risks” and how that justified not publishing the information, despite previously making statements that they would indeed issue the documents by the end of April. According to Automotive News, VW’s two US law firms advised them that releasing the data could hamper further negotiations with the US Department of Justice. VW representatives, the company needs “to maintain the highest degree of confidentiality” while continuing further negotiations with government offices, including Environmental Protection Agency, California Air Resources Board, Federal Trade Commission, Attorneys General from 50 states, and the DOJ even after the recent settlement. VW, already set to lose billions, say that a report might “jeopardize the credit that Volkswagen may expect to receive in the event of its full cooperation with the Department of Justice and have very substantial negative financial consequences.” (AutoBlog). VW is very concerned that the data may even affect workers, many of whom have not yet interviewed by Jones Day, regarding their statements. In last September 2015, VW brought in the services of Jones Day in late September in an effort to conduct the investigation as a matter of good faith. Over 65 million documents and 450 interviews were collected by the firm as a result. 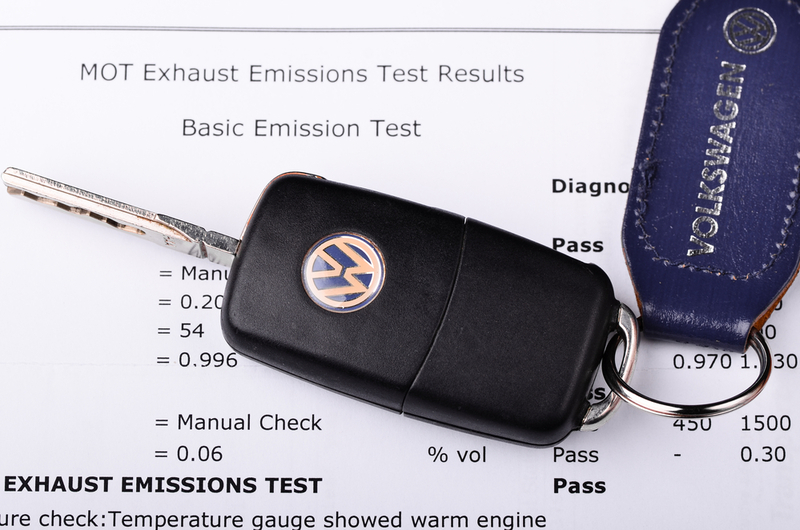 Recent reports have however hinted that the detective work may be jeopardized because VW allegedly used dozens of code words to hide their emissions cheating. The lawyers of Jones Day are projecting the completion of their full report around the fourth fiscal quarter of 2016. With VW reaching the tentative agreement with the courts to buy back affected diesel vehicles in the US and establish funds to clean up the environment. The actually won’t hear any of the finer details regarding the plan until June 21. So for now, this is where we conclude our coverage of the VW emissions case until have all the official details about exactly what caused the diesel scandal are out once the DOJ and VW reach their final settlement.